This GO! 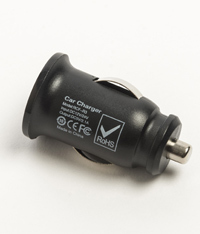 Car Adapter will allow you to charge your Iridium GO! in a vehicle using the cigarette lighter adapter. Many solar charging stations also use these adapters to connect to the solar panel.